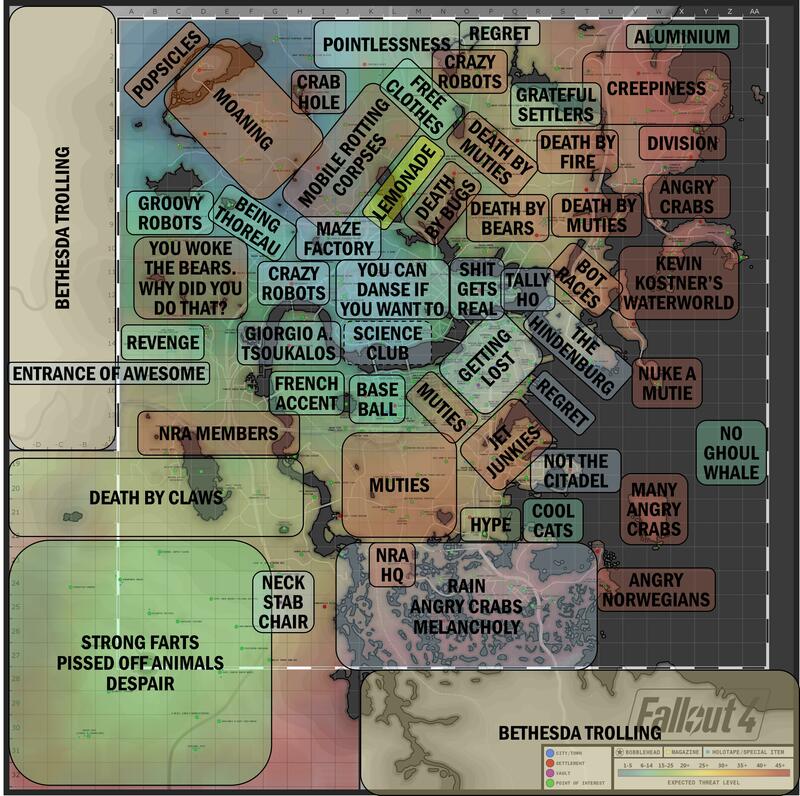 This Fallout 4 map shows you funny names for different locations and settlements throughout the Commonwealth. View the map and relate to them. Click the Fallout 4 map above to view the full printable version.